The eNewsletter from SharperAgent - Don’t miss another opportunity to stay in touch with your past clients and hot prospects. Get your own eNewsletter set up today! Deliver newsletters to your clients and contacts by just hitting print or send. Our pre-written topics on real estate, homeownership, finance or general lifestyle topics can be delivered in just a few minutes. No need to write or edit. These newsletters are ready to go. Take a look at our Build Your Own Newsletter templates. 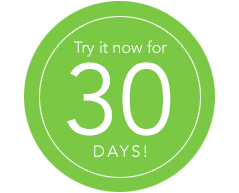 You can also take a look at our complete library of materials by taking a 30 Day Trial. Grow your reputation and your sales pipeline with Newsletter marketing. Being an expert in your market will help set you apart in any business. Share your local or specialized knowledge with consumers by creating your own newsletter. Write your own articles or build your own design with our pre-written articles. No time to write? Take a look at our Pre-Built Newsletter templates.